Are you self-submitting for Projects? 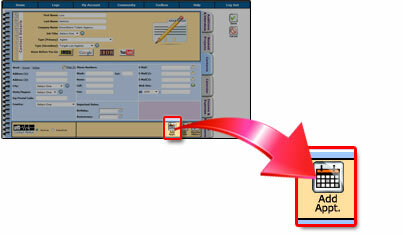 Do you want to track those that you submit to, your follow-ups and what their responses are! STEP 3) Once you are inside inside that Contact's Contact Page you may want to further specify who this Contact is by associating a "Contact Type (Secondary)" to them. For example: "Submission", "Project Submission", "Self-Submission", etc.. This will allow you to do a Search easily in the future of your Contacts who happen to be Casting Directors, Producers, Writers, Directors, etc., that you have submitted to in the past that fall into a specific "Type (Secondary)" category you created. 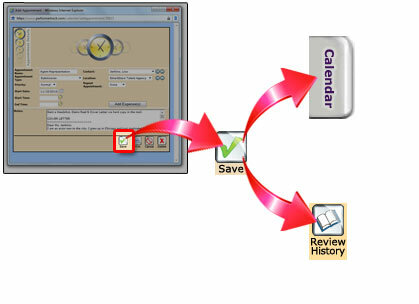 STEP 6) When you SAVE the Appointment the details of that appointment automatically are sent to your Calendar Section and that Contact's History Folder. Isn't that cool?!?!? STEP 7) After you finished creating the "Submission" as an appointment, why not add a new Appointment to Schedule a Follow-Up?! PerformerTrack's Contact section will really keep you on top of who you are submitting to, what you are submitting and scheduling timely follow-ups!